One of the best things about Pakistan is the book shops. I spend hours rummaging through the jumbled piles of books in dusty second-hand stores, pulling out Flashman novels, turgid tomes about Pakistani politics or yellowing travel guides extolling the beauty of Waziristan. I had always assumed the books were thrown into piles at random. The shop assistants seemed to have a rudimentary grasp of English and I figured they could only guess at the treasure buried around them. How wrong could I be? I’d been searching in vain for a copy of VS Naipaul’s A Bend in the River for a couple of weeks when I finally gave in and asked for help. The assistant beavered off among the stacks for a few seconds before returning with A House for Mr Biswas and The Enigma of Arrival. 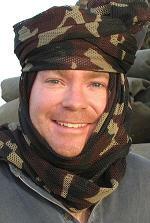 OK, it wasn’t what I was looking for, but it seemed that somehow he knew where everything was. Those two Naipaul books were not stored under N or, as far as I could tell, in the fiction section. They were in different corners of the shop, yet he’d pinpointed them with some kind of logic that had passed me by – or through an utterly extraordinary feat of memory. I’ve now seen the same trick performed in four of the shops near my house in Islamabad, but have yet to find A Bend in the River. Anyway, the hunt is half the fun. The second-hand places are my favourites. But all the bookshops are fantastic. 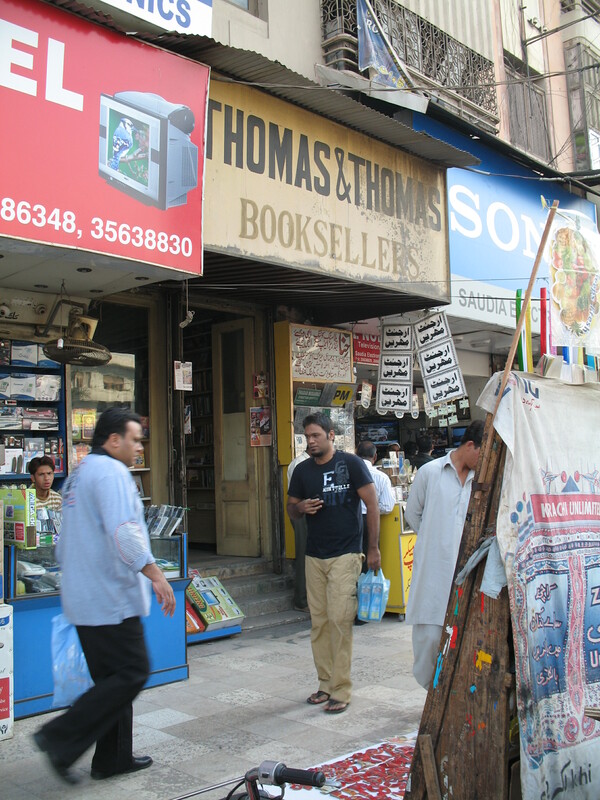 This weekend is the Karachi Literary Festival and the city is also home to a shop that is something of an institution: Thomas & Thomas. It’s tucked away in what was once a rather grand address but is now an unprepossessing area, flanked – if memory serves – by fridge shops, samosa stalls and suchlike. It was here that I found John Brunton’s excellent account of building the Sindh railway. Reminds me of visiting the post restante in Afganistan and Pakistan many years ago and looking the M section for any letters for me and finding letters for Smiths and Abbotts etc.